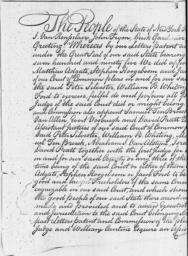 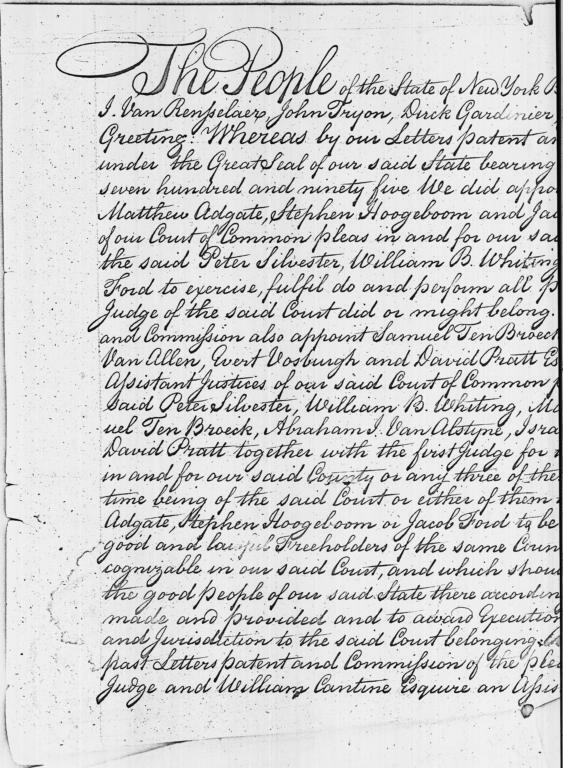 Commission; Bryant, James; Gardinier, Dirck; Hoogeboom, John C.; Tryon, John; Van Rensselaer, Henry I. 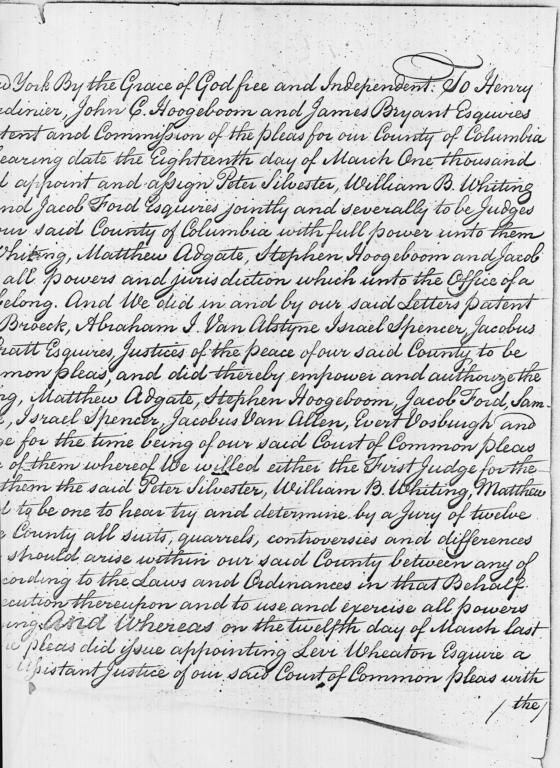 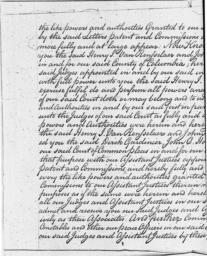 The people of New York, having already made similar appointments on 18 March1795, now appoint Henry Van Rensselaer and John Tryon as Judges, and Dirck Gardinier, John Hoogeboom, and James Bryant Assistant Judges of the Court of Common Pleas in and for Columbia County. 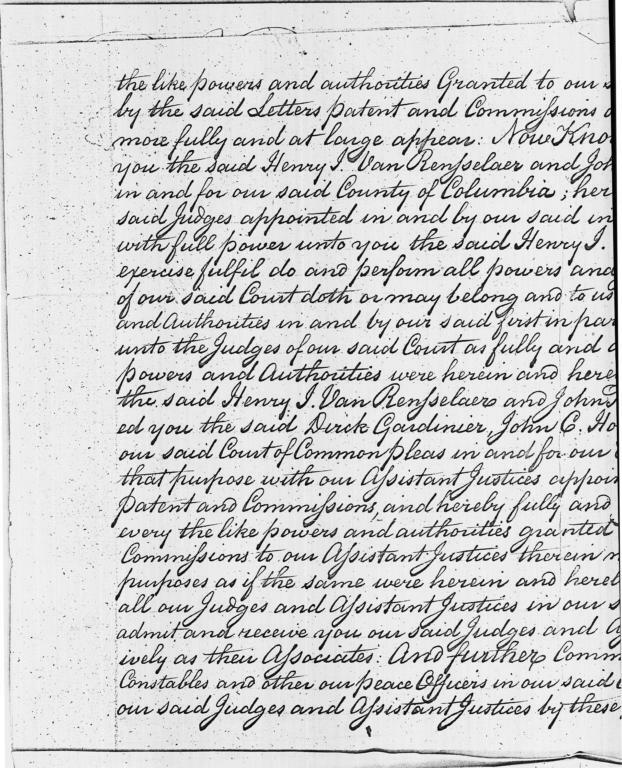 They also command that all Judges and Assistant Judges admit the appointees as their associates, and that the sheriff, constables, and other peace officers pay due obedience to them. 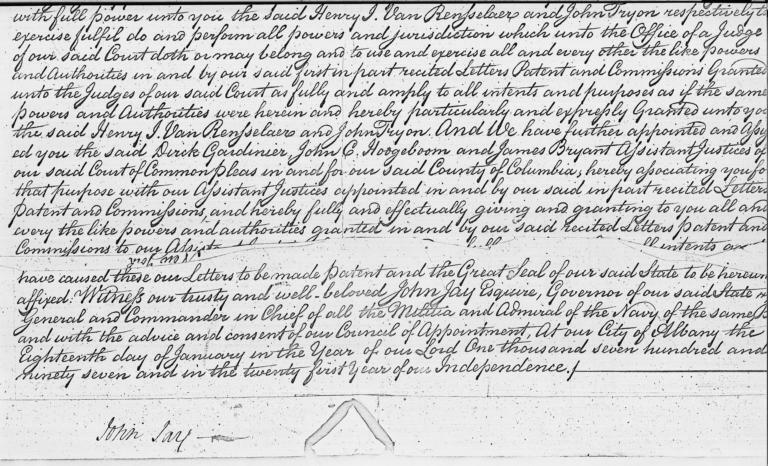 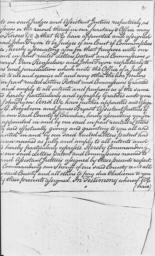 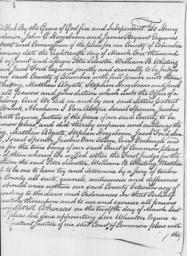 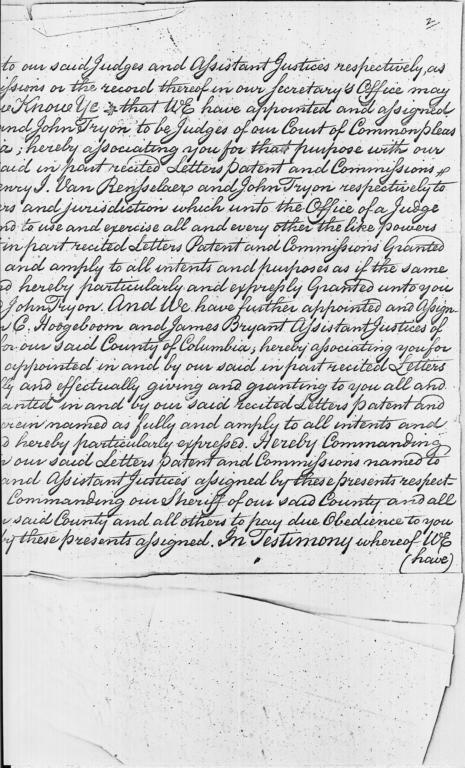 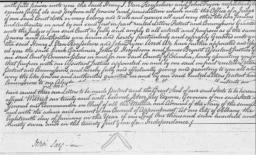 Witnessed and signed by John Jay as Governor of New York, General and Commander-in-chief of the Militia, and Admiral of the Navy of New York, with the advice and consent of the Council of Appointment. 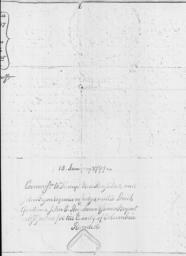 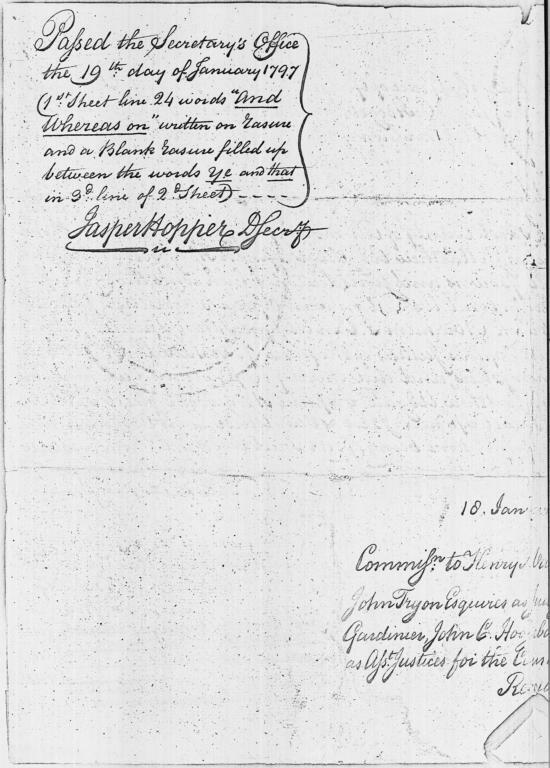 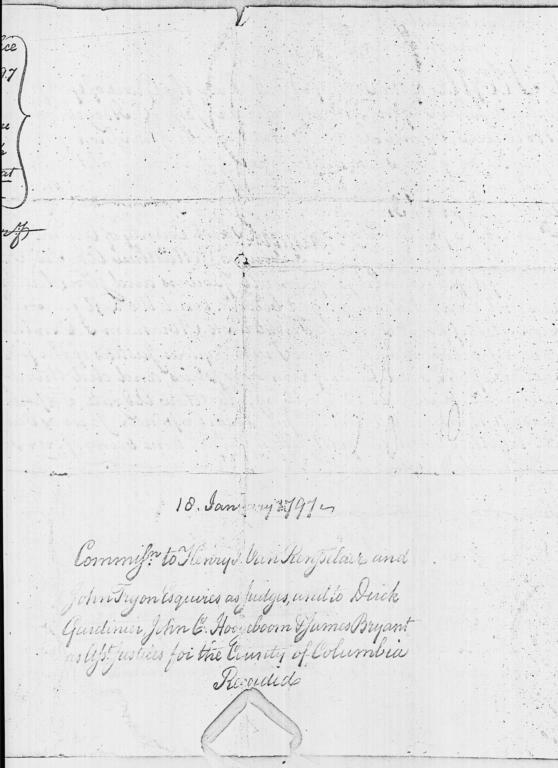 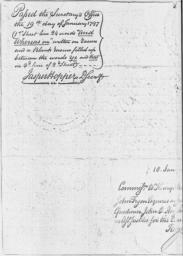 On verso, signed on 19 January 1797 by Jasper Hopper, Secretary.